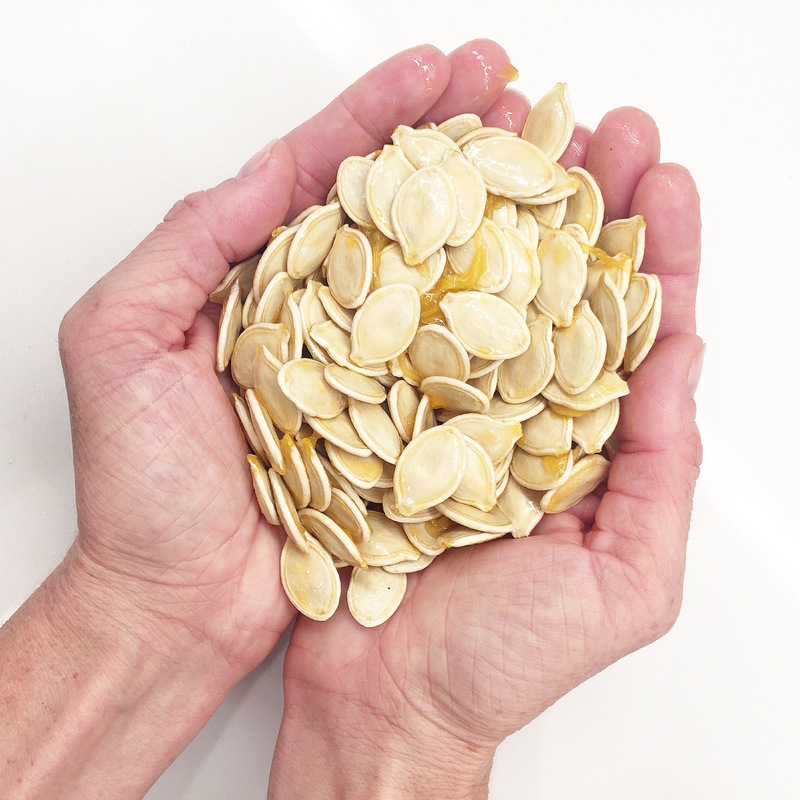 Homemade, DIY roasted pumpkin seeds straight from the pumpkin! Remove as much of the stringy fibers of pumpkin as you can. Add salt to 4 cups of water and bring to boil. Add pumpkin seeds and boil for 10 minutes. Drain and pat seeds dry with a paper towel. Toss seeds in a medium size bowl with oil and spread them evenly on a large cookie sheet. Roast seeds in oven for 20 minutes stirring half way through until crisp and lightly golden brown. For each cup of seeds, use about ½ – 1 ½ tsp of seasoning TOTAL. Otherwise the flavor will be too overwhelming.